Racers and fans are poised for what could be a ground-breaking, revolutionary season for the always-popular Top Fuel Harley category. 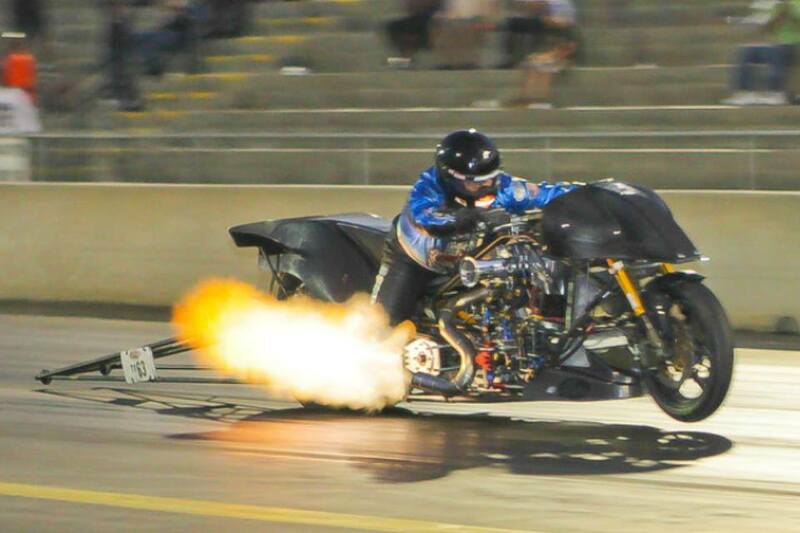 The biggest question is – will this season bring the first Nitro Harley five-second run? 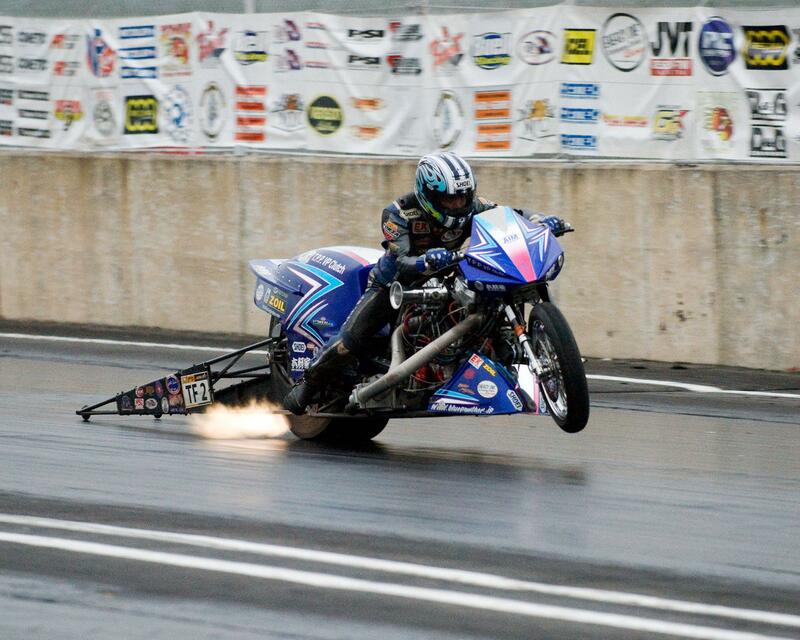 One of the most significant barriers left in all of dragbike racing may be closer to being broken than many think. 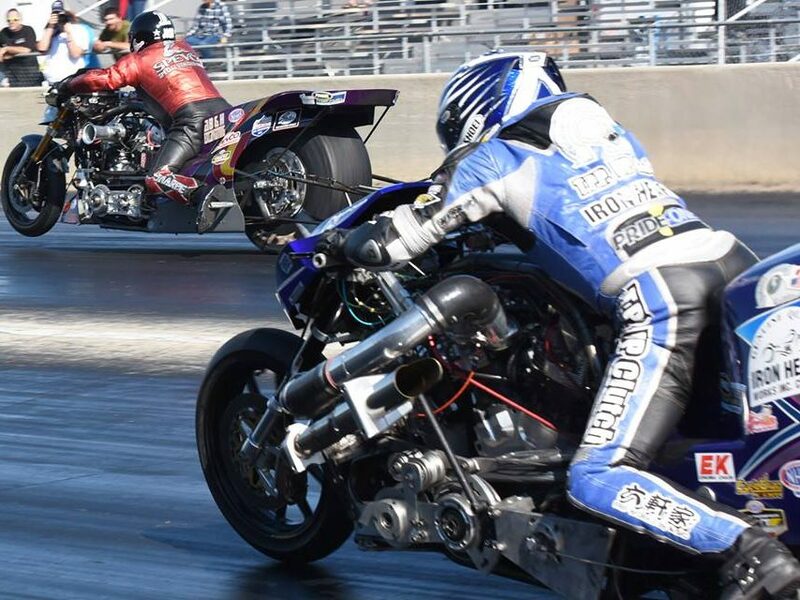 Japanese-based veteran rider Takeski Shigematsu made an emphatic statement at the ManCup Finals in November at South Georgia Motorsports Park when he unofficially recorded the quickest Top Fuel Harley pass of all-time with a 6.02 on his supercharged v-twin. Even more impressive was the fact that the run was far from flawless. Shigematsu broke his handlebars on the pass. His computer data and incrementals indicated the run could have been somewhere in the 5.80-zone had he not had the problem with the bars. The five-second barrier has a better chance than ever of being broken this season due to more teams utilizing superchargers and NHRA’s Top Fuel Harley schedule expanding to ten events, offering more opportunities on top-notch tracks. Television exposure on FS1 is also helping to inject new interest into the class, with new teams entering and legends returning. 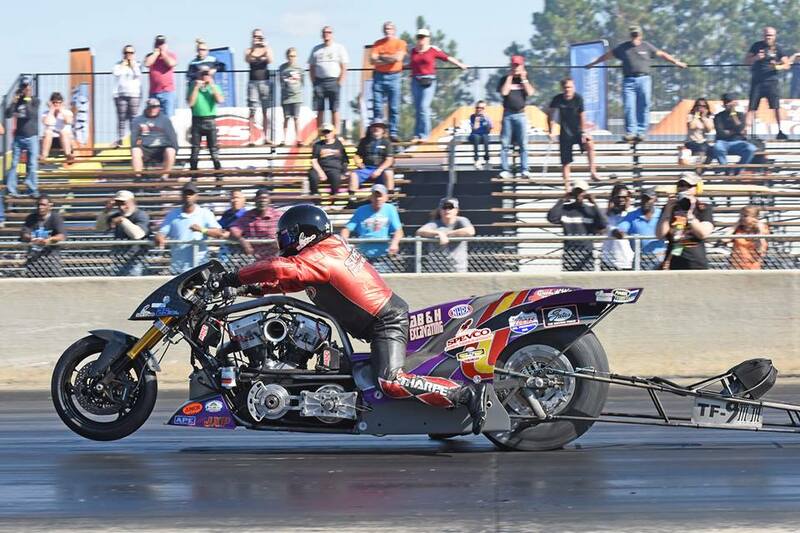 Many will be watching as the most dominant Nitro Harley racer of the past four years, Jay “The Bulldog” Turner begins to work with a supercharger. Turner has been as quick as 6.16 without a supercharger. As last year’s NHRA No. 3 finisher Tii Tharpe points out, rules have remained largely unchanged for the class for the past 30 years. Superchargers have long been legal but sparsely used and developed. That will soon change, especially with the NHRA’s defending champion committing to the development of the combination. 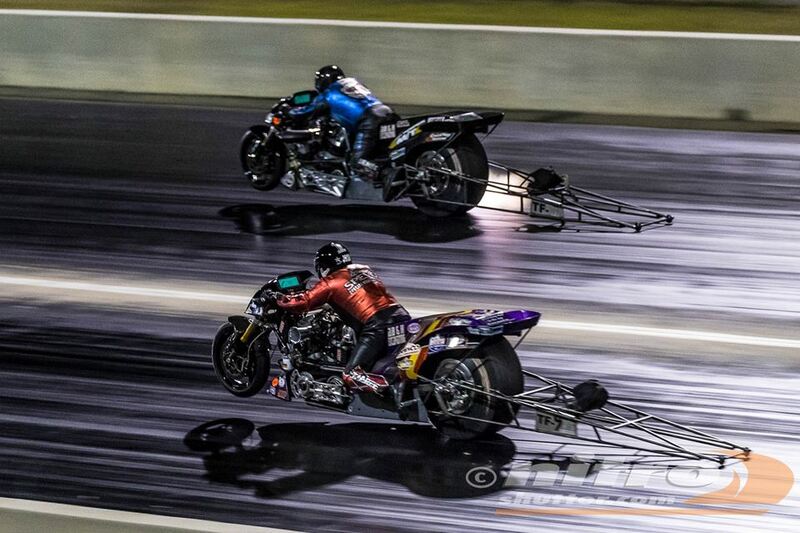 Although blown Nitro Harleys are largely untapped and unproven, some insiders speculated the NHRA would ban superchargers over the off-season to maintain parity in a class that saw healthy, well-attended racing in 2017. The only rule changes that came from the NHRA involved requiring parachutes and shut-off switches. For supercharger gurus, it’s game on. Although he doesn’t see himself using a supercharger in the near future, Tharpe thinks allowing them is the right thing to do. Tharpe’s teammate Turner is up for the challenge. Tharpe says don’t expect to see the big numbers right away, especially with the teams having to prepare for early-season West Coast racing. Tharpe says the performace potential of using a supercharger is much greater than what is currently in use, but says whether or not it’s the best combination for a sport that requires consistency and reliability remains to be seen. Tharpe admits another factor that could curb superchager development is fear rules could change next season or beyond. Due to the innovation and extensive testing required, most teams are likely to stay away from the supercharger initially. But when that first five-second run flashes on the scorebard, everyone will want one. To the fives we go.